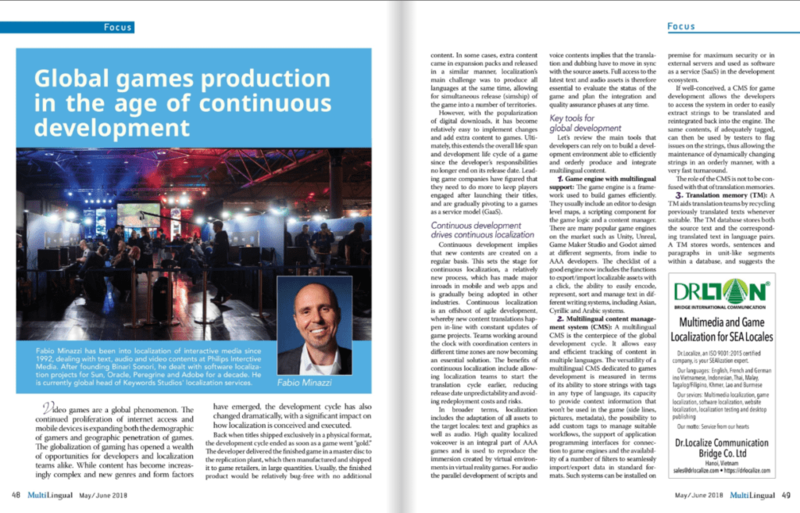 In Multilingual’s latest issue, Fabio Minazzi, Localization Services Director at Keywords Studios, shares his insights and experiences on global games production, where continuous development is driving continuous localization. In this detailed article, Fabio provides an overview of the tools that are required for effective localization, including Content Management Systems (CMS) and translation memory (TM). He also explores the impacts of the evolution of the development cycle on localization and discusses common mistakes in the localization and synchronisation process. 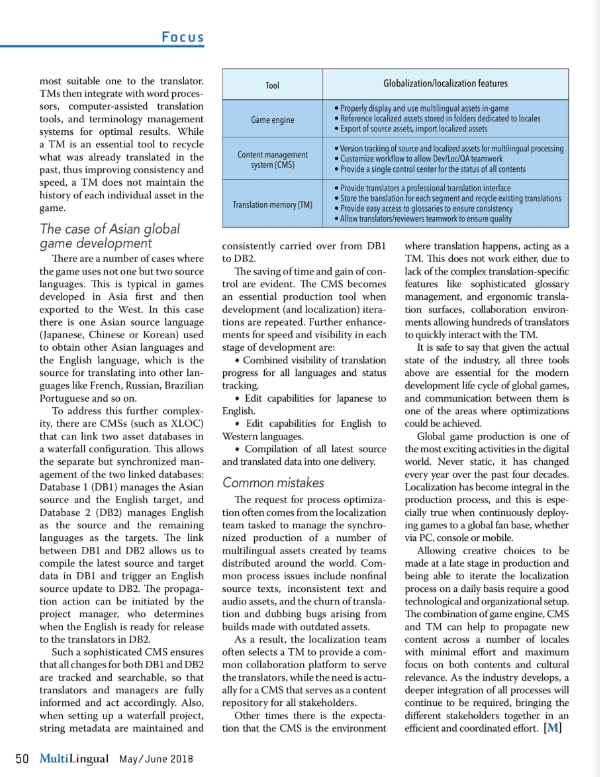 Check out the full article on pages 48 to 50 of Multilingual’s May/ June issue here to read more.